Not only is Miami the cultural, economic and financial center of South Florida, it is also the number one vacation spot too. This modern metropolis is a cultural treasure trove as well as being a major centre for business. Miami boasts a strong international business community and is home to a major television production center, and is considered the most important city in the U.S. for Spanish language media, due to its proximity to Latin America. Alongside this, the city has the largest concentration of international banks in the U.S.
Getting downtown from Miami International Airport is easy with either the Metrobus, Metrorail or Tri-Rail airport connections all taking you into the Miami Central Station. If you’re in Miami, you gotta go to the beach. 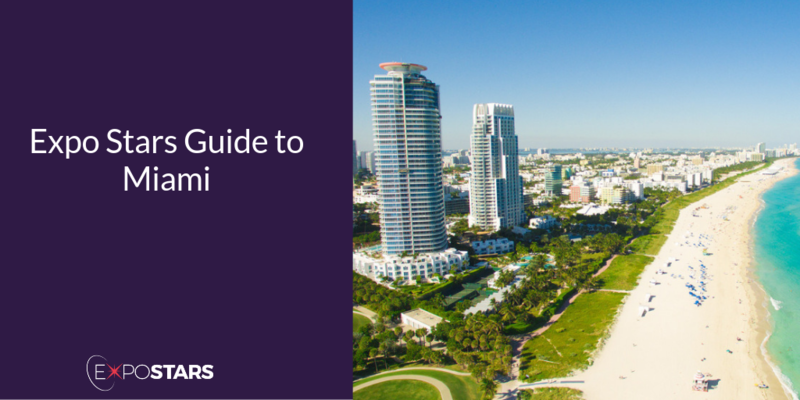 Located on a barrier island and connected to the mainland by a series of bridges, Miami Beach is a combination of quiet neighborhoods, lively entertainment-focused areas, and long stretches of soft-sand beaches. Don’t forget to explore the Art Deco Historic District. Located at the southern end of Miami Beach is South Beach. This wide section of beach is the most popular beach in Miami and one of the top beaches in Florida. The Surf Club Restaurant by Chef Thomas Keller, features nostalgic, American cuisine with dishes like prepared salads, oysters rockefeller, lobster Thermidor and beef Wellington. The Jim and Neesie serves up plenty of frozen drinks and low ABV cocktails along with dishes like ceviche, burgers and pastas.